Brisbane - Daniel K. Inouye Intl. Kingsford Smith Intl. - Daniel K. Inouye Intl. Tullamarine - Daniel K. Inouye Intl. With breezy beaches, surf breaks and budgie smugglers, what’s not to love about the Hawaiian island of Oahu? 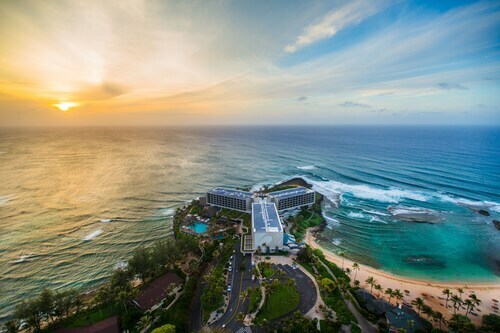 Sweeten the deal with gorgeous sunsets, maritime history and delicious local dishes, and it’s high time you packed your sunnies and caught flights to Oahu. If you’re a morning person, hike up Diamond Head at dawn to catch dazzling views of Honolulu and the Pacific Ocean when you reach the peak. Need a little kick in the a.m.? Start with a cup of local Kona coffee, then hike. Don’t worry if you’re a bit worn out, because a refreshing snorkel in Hanauma Bay is a great way to cool off. The turquoise waters are filled with brightly coloured fish and coral that give the local flora a swim for its money. 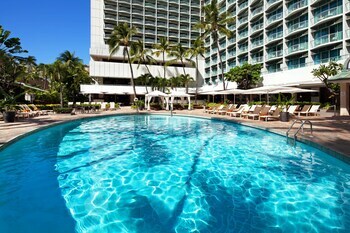 If lounging is the MO of your holiday in Oahu, then Waikiki Beach is an ideal home base for you and your towel. 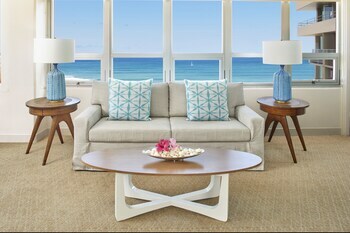 When your sunbathing is through, you're only a short walk away from Oahu's enviable nightlife, where it’s totally normal to mix togs and cocktails. For a change of scenery, snag an Oahu car hire and take a trip up to the Leeward Coast or to North Shore, where you can experience a true Hawaiian luau before you head home. Oahu holidays aren’t complete without the history, dancing and food found only at a traditional luau. Plus, you’ll probably get lei-ed. 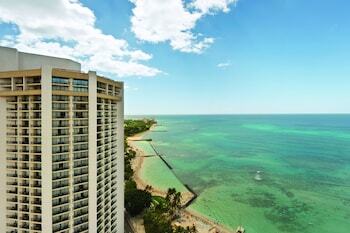 Shopping is plentiful all over Oahu, with the best mix of high end and high tide near Waikiki Beach. Shopaholics will love Ala Moana, Hawaii’s largest shopping centre, but good walking shoes are a must, since it’s one of the biggest open-air malls in the United States. If you're still searching for the perfect treasure to take home to Mum, you're sure to find it at the Waikiki Beach Walk, but, no, the gorgeous palm trees surrounding the boutiques are not good souvenirs. All that shopping is bound to leave you with an appetite. 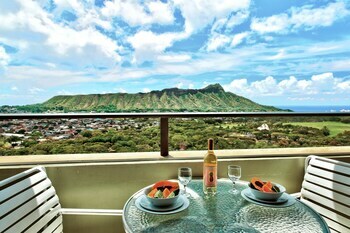 You'll find small neighbourhood haunts favoured by Oahu locals sharing the street with beachfront fine dining. Many restaurants feature Hawaii regional cuisine, a blend of Hawaiian roots and global flavours. Be sure to seek out one of many farmers markets sprinkled all over the island for snacks on the go. Most run from Wednesday through the weekend with local produce, vegetables and Manoa honey ripe for the grazing. When the sun begins to set, the nightlife on the island starts heating up. If your trip falls near the beginning of the month, don't miss First Friday in Oahu's historic Chinatown. This art celebration blends with local after-parties, helping you enjoy the perfect night. Whether you want to kick back or kick up your heels, Oahu is the ideal spot for your next getaway. Wotif has you covered every step of the way. Not only is the booking process easy-peasy, we’ve also done the deal-hunting for you. 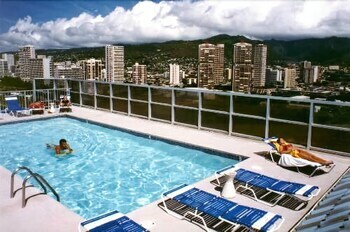 Mix and match airfare and accommodation for the perfect Oahu packages with Wotif. The golden tan you’ll pick up is a free bonus. 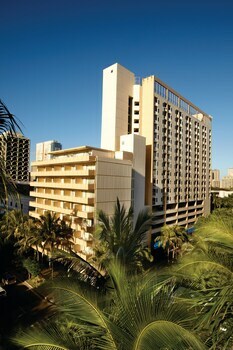 Bustling Honolulu serves as both the main port and capital city of Hawaii. 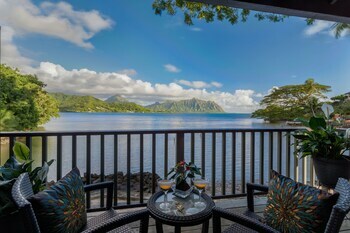 Long considered one the world's most exciting holiday island getaways, this tropical paradise is ready to shower you with warm breezes, gorgeous beaches and delicious food. Ready for more? Book one of our Honolulu holidays to delve into a vibrant Polynesian centre rich in history, culture and natural beauty. A Waikiki holiday is definitely a vacation to remember. Here, you'll find waves primed for surfing, scenic hikes and incredible food, all set against a beautiful Hawaiian backdrop. 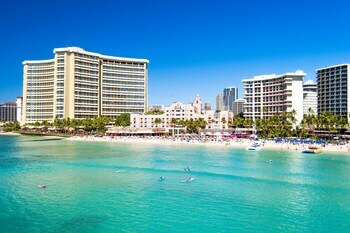 Waikiki is home to one of the world's most famous beaches, and a long time hub for royals, celebrities and tourists alike. 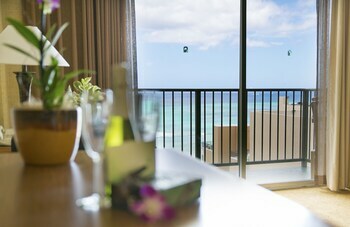 Whether you travel for unique experiences, or just to unplug and refresh your mind, you can do both with ease when you holiday in Waikiki. Swim in a natural ocean “swimming pool”, explore rocky outcrops and boogie board in safe waters at this family-friendly beach. Ride the waves on a bodyboard and sunbathe on the sand at one of Oahu's most popular beaches, known for its starring roles in two top television shows. Ancient banyan trees, rare wildlife and stunning vistas combine to make Hawaii’s largest – and oldest – public park the perfect place to relax. Discover the rise and fall of the Hawai’ian monarchy in this lavish palace complete with the crowns and chambers of the king and queen. Follow the trail through Diamond Head State Monument to the top of this volcano for one of the finest views anywhere in Hawaii. Originally designed to house the king's exotic bird collection, and a horseracing track, this zoo is now home to a fascinating population of 905 different animals. For some of the best surfing and the safest swimming on Ouahu and the chance to picnic in the shade of a banyan tree, Ala Moana Beach Park is where you want to be. Get out on the water on a kitesurf or windsurf or explore the incredible mountainous scenery inland at this beach on eastern O’ahu. This stunning bay is one of the most diverse marine ecosystems in the world and boasts some of the best snorkelling in Hawaii. Step aboard and experience just what it was like to be part of the crew of a World War II submarine in this fascinating Pearl Harbor museum. Hop a bus to Honolulu's Kalihi district for a wonderful journey through the history and culture of Hawaii, Polynesia and even outer space! This poignant memorial to the Pearl Harbor attack is the final resting place of 1,102 seamen. Learn about one of the most significant and tragic days in US history. 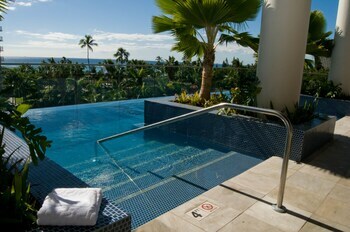 Liked the location, pool and views and the beaches either side of the resort. Need a car to look around beyond the resort though and car hire from the resort was expensive. 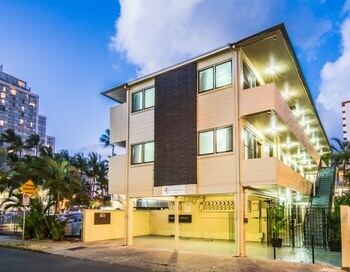 Great location out of the noise of Waikiki beach! Facilities excellent. Loved the free connection trolley. Helpful and friendly staff. Room was great.